Wednesday, 12:10 – 1:00 P.M. In his book Sounds of Crossing: Music, Migration, and the Aural Poetics of Huapango Arribeño (Duke 2017), Dr. Alex E. Chávez explores the contemporary politics of Mexican migrant cultural expression manifest in the sounds and aural poetics of huapango arribeño, a musical genre originating from north-central Mexico. In this presentation, he draws on this work to address how Mexican migrants voice desires of recognition and connection through performance, and the politics such desires attain amidst the transnational context of migrant deportability. As a researcher, artist, and participant, Chávez has consistently crossed the boundary between scholar and performer in the realms of academic research and publicly engaged work as a musician and producer. In this presentation, he draws on these experiences to address the politics of his intellectual and creative work and how he engages both to theorize around the political efficacy of sound-based practices, the “voice,” and the disciplinary futures of borderlands anthropology. Alex E. Chávez is the Rev. John A. O’Brien Assistant Professor of Anthropology at the University of Notre Dame, where he is also a faculty fellow of the Institute for Latino Studies. His research and teaching explore Latina/o/x expressive culture in everyday life as manifest through sound, language, and performance. He has consistently crossed the boundary between performer and ethnographer in the realms of both academic research and publicly engaged work as an artist and producer. He has published in various academic journals—including the Journal of Linguistic Anthropology, Latino Studies, and the Latin American Music Review—has contributed to numerous prominent volumes, and his writing has been featured in public venues such as the Huffington Post and Revista Contratiempo. An accomplished musician and multi-instrumentalist, Chávez has recorded and toured with his own music projects, composed documentary scores (most recently Emmy Award-winning El Despertar ), and collaborated with acclaimed artists—including Antibalas, Grammy Award-winners Quetzal, and Latin Grammy Award-nominated Sones de México. In 2016, he produced the Smithsonian Folkways album Serrano de Corazón (2016). Currently, he is co-editing a volume provisionally titled Latino Aesthetics in the Global Midwest—a project that grows out of a collaborative research grant funded by the Mellon Foundation. He is also curating the liner notes for the forthcoming 8th studio album by Quetzal, which is to be released on Smithsonian Folkways Recordings. 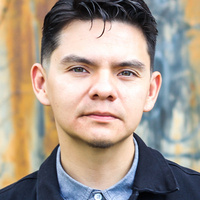 And in Spring 2019, he will be co-chairing an Advanced Seminar at the School for Advanced Research in Santa Fe, New Mexico on the topic of Ethnographies of Contestation and Resilience in Latinx America. His book Sounds of Crossing: Music, Migration, and the Aural Poetics of Huapango Arribeño (published through Duke University Press) is this year's recipient of both the Society for Latin American and Caribbean Anthropology's Book Prize and the Association for Latina and Latino Anthropologists Book Award, in addition, it was short listed for the prestigious Victor Turner Prize in Ethnographic Writing by the Society for Humanistic Anthropology. • The Wednesday@Noon Series offers concerts, lectures, and presentations of academic research by Department of Music faculty, postdoctoral researchers, students, and international guest artists and scholars. Ian Dicke, coordinator.